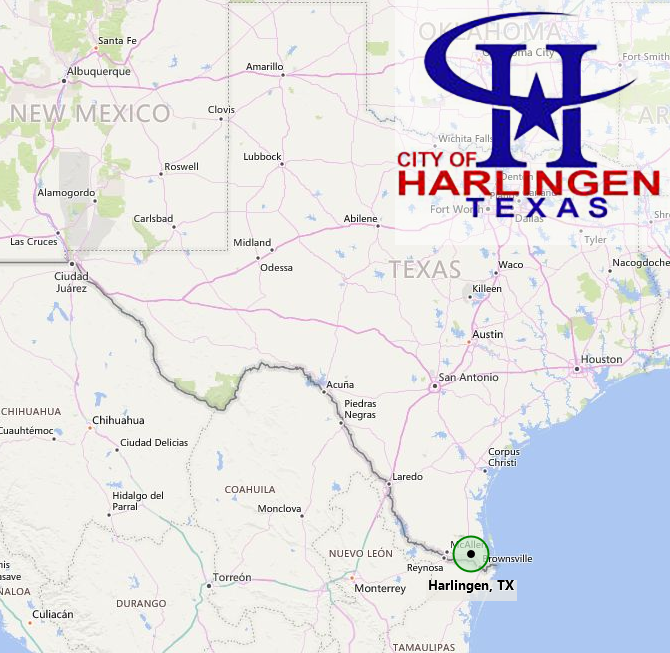 The City of Harlingen resides in Cameron County in the state of Texas, located neighboring the Mexican city of Matamoros accross the Rio Grande. As of the 2016 U.S. Census estimate it has a population of over 65,000. Harlingen is part of the Brownsville-Harlignen metropolitan area. The Port of Entry (POE) of Harlingen only accounts for the Harlingen International Airport which handled trade flows of over $23M U.S.D. in 2016. Trade crossing through the Free Trade Bridge is reported under the Brownsville POE. The Harlingen International Airport POE (2383) is part of the trade District of Laredo.